Your iPhone can be a great fashion accessory if you deck it out in the right iPhone case. Discover unique designs that will turn your iPhone 4 or 4S into a one of a kind creation! Discover Zazzle cases for iPhone 4 and iPhone 4S. Zazzle is a website that allows independent designers from all around the world to turn their artwork into amazing iPhone cases (and other items too). On the right, you can see some of the designs handpicked by me. The kind of iPhone case you see here is called a Speck Fitted Hard Shell Case, which is a hard plastic case fitted with fabric for a better grip. The artist's design is printed on the fabric. Zazzle's Speck Cases for iPhone work both the AT&T and Verizon iPhone 4. They're good for any version of iPhone 4 and iPhone 4S. Want to see more cool Zazzle cases for your iPhone 4? Below you'll find a list of web pages presenting iPhone cases by theme. Come on, take a look! Weird iPhone 4 Cases: Make your iPhone Unique! Adorable Kitten IPhone 4 Cases: The Cutest Cats! iPhone cases - they're addictive! By now I've lost count of the amount of iPhone cases I own, and I'm always looking for new ones. New cases are just so much fun, they make the good old iPhone feel like a brand new gadget with every new case! 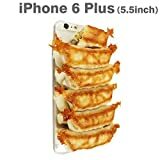 - Hard iPhone cases: look nice, huge selection everywhere! Good protection for your phone. - Sleeve (sock) iPhone cases: You need to take the phone out when you need to use it, so your iPhone isn't always hidden behind a case. You get to enjoy the real thing! - iPhone flip cases: Super protection. If the case is of good quality, your iPhone will never slide out and break. Looks professional. Doesn't require screen protector. Poll: How many iPhone cases do you own? The Japanese invent the craziest gadgets, and they came up with a really unique idea for an iPhone case - to make it look like food! Do you want an iPhone case that looks exactly like your dinner? Be careful not to take a bite, these iPhone 4 cases aren't edible... despite their yummy looks. It's not the iPhone 5, instead Apple just announced an iPhone 4s at their "Let's Talk iPhone" event. Read this detailed iPhone 4s review. Flower iPhone 5 cases are a popular choice - but it can be a challenge to find high quality cases with bright flower photos on them.